Xiaomi have recently launched Mi Band 3 as their 3rd generation of fitness band in India. It’s a much improved fitness band as compared to all previous fitness bands by Xiaomi. Since nothing is perfect, how can Mi Band 3 be? If you’ve used the previous versions of Mi Bands, then you’d definitely know how good their battery life was. First generation of Mi Band last for more than a month & similarly, the second generation of Mi Bands with the display can easily last for 20+ day. Xiaomi however, has claimed that their new Mi Band 3 with a much brighter OLED display can last about 20 day, is failing at it. There are a bunch of Mi Band 3 users complaining about poor battery life of Mi band 3. As per their claims, they are not even getting a full week of battery on their Mi Band 3. Take a look at Best Features of Mi Band 3! Initially, battery life of my Mi Band 3 wasn’t that good & even I was disappointed by their false claims. But after digging into settings, I was able to find what’s actually eating the battery life of Mi Band 3. And now I am able to get the claimed battery life on my Mi band 3. I have fully charged my Mi Band 3 on 3rd October & it’s 55 % left as of 14th October. So, I can easily get the claimed 20 days battery life on my Mi Band 3. In this article, I will share all the settings that I have done to increase the battery life on my Mi Band 3, so that you can all get some benefit out of it. Continuous Heart rate monitoring is the main culprit of this poor battery life. You can monitor your heart continuously with the Mi Band 3, at a set interval of time. This is a handy feature for those with inconsistent heart rate issues. But on the downside, it will consume way more battery every time your band triggers the HR sensor. By default this feature is turned on & turning it off will increase your battery by a huge margin. How to turn off Continuous Hear Rate monitoring? 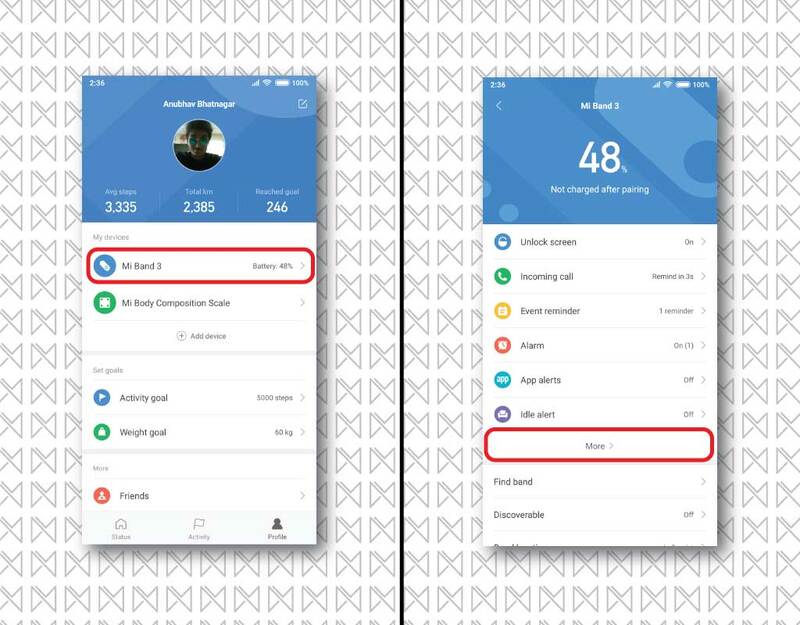 1- Open Mi Fit app & make sure that your Mi band 3 is properly synced. 2- Now on the ‘Profile‘ tab, tap on ‘Mi Band 3‘ under ‘My devices‘. 3- There find ‘Heart Rate Detection‘ & simply, turn it OFF. The recent update of Mi Fit app includes the Night Mode feature. This feature dims the brightness of the display of your Mi Band 3 & lets you save some extra juice out of it. And as the name suggests, it will automatically lower the screen brightness after sunset or as set by the user. You can also turn it on for the entire day, but it will possibly affect the sunlight legibility of the display. How to turn on Night Mode? 3- There look for ‘Night Mode‘, inside ‘Night mode‘ options, you can either set it to ‘Turn on after sunset‘ or ‘Schedule turn on time‘. Turn off after sunset will turn on the night mode after the sunset automatically. While for Schedule turn on time, you’ll have to set a ‘Start time‘ & ‘End time‘ as per your preference. Setting both to 00:00 will enable Night more for whole day. 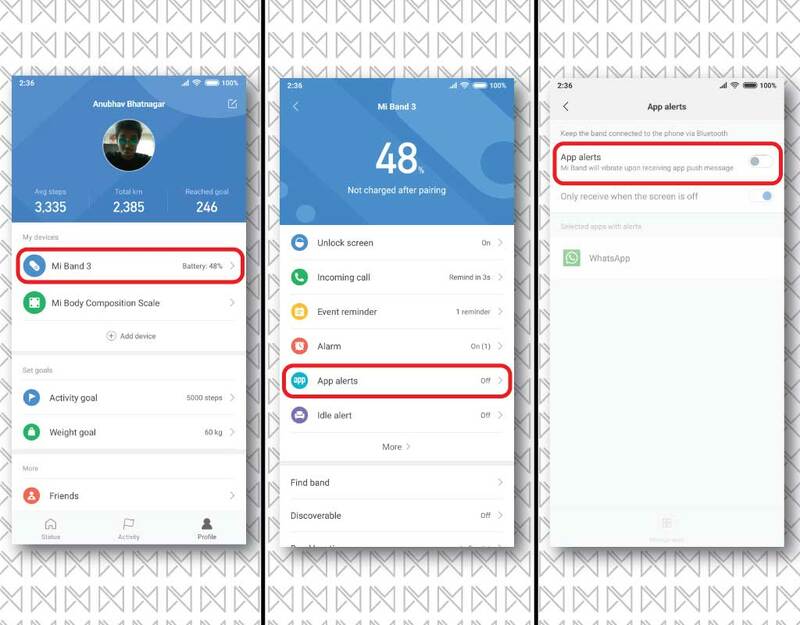 We can now see notification alerts on the Mi Band 3 & with a bigger screen it allows you to show some content as well. 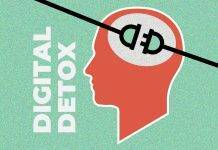 Every time you will receive a notification, it will vibrate you to notify about it. If you have added certain app that receives notification very frequently then you can definitely turn this option off to get more juice out of your Mi Band 3. I have completely disabled app alerts, since I don’t need it at all. How to turn off app alerts? 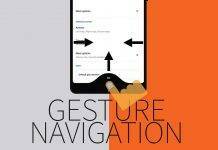 3- Look for app alerts options, open it & turn off app alerts completely. If you don’t want to turn it off completely, then remove apps those are pushing frequent notifications. 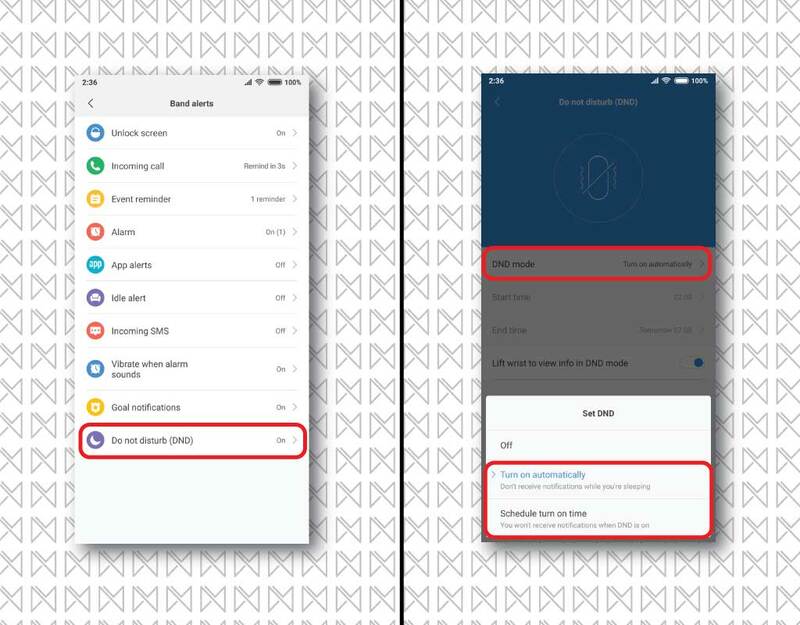 By following the above mentioned tips, you can easily get the best battery backup out of your Mi Band 3. Yet in case, you want more than follow these 1 tip, that can marginally increase battery life of Mi band 3, based on your usage. If for some reasons, you have allowed call/app notification alerts then this options lets you disable band notification for a certain period of time. You can either set it to enable automatically while you are sleeping or you can also, set it to schedule DND mode as per your desired time. How to enable DND Mode? 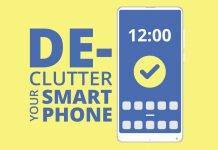 3- Now tap on ‘More>‘, open ‘Do Not Disturb (DND)‘ & enable it as per your own preference. 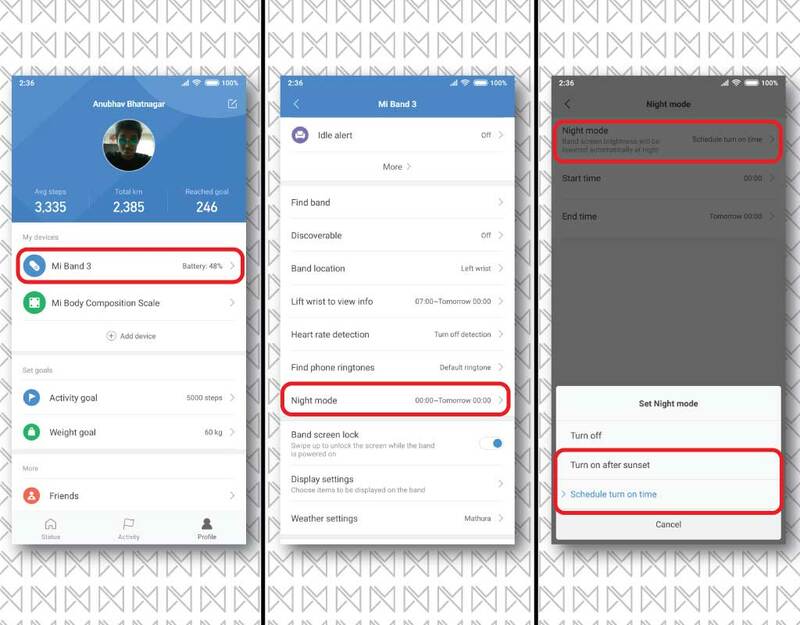 And that’s all, if you follow all these settings then you can actually get the claimed 20 days battery life on your Mi Band 3. However, doing so you might have to sacrifice few of the perks of Mi Band 3, but if you want more battery life then it’s worth a shot. 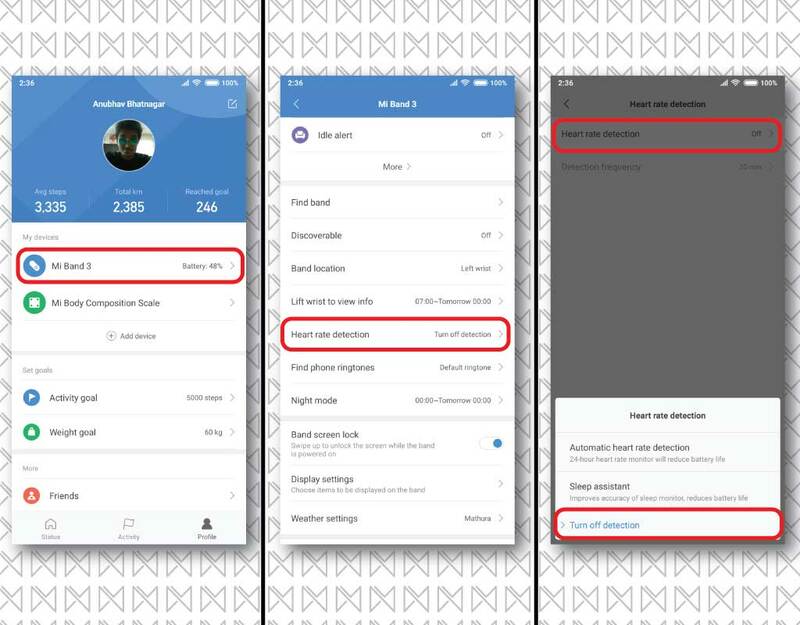 This will definitely help you in solving battery problems on Mi Band 3, but in case nothing works then better replace your band as soon as possible. 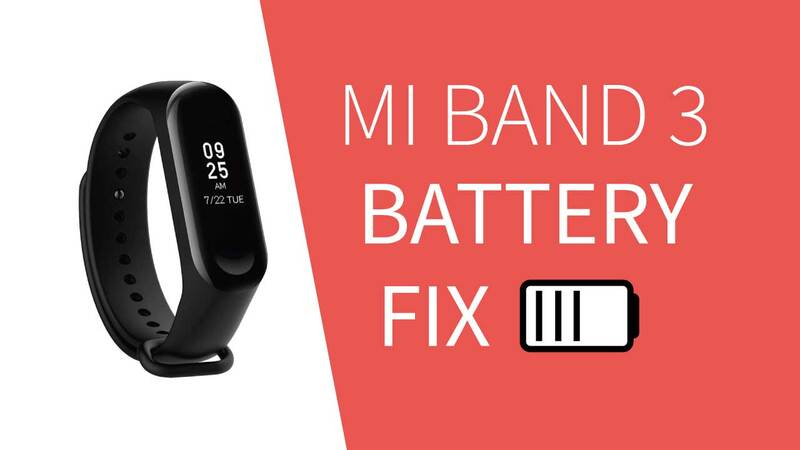 Does this article helps you in solving the battery issues on your Mi Band 3 or you have some other tip for our readers regarding the battery life of Mi band 3, do let us know via a comment. Previous articleNew features of MIUI 10 Global ROM! Next articleBest features of Mi Band 3 that you should know!